‘BERTIE’ is our original 1971 Bedford CF vintage ice cream van. He has been lovingly restored back to his former glory and now loves to attend those special events and functions. He has a full ‘Cummins’ fibre glass body, large freezers, chiller and of course those timeless sing-a long chimes! He certainly is a very special original ice cream van. *Due to his age, lack of gears and dislike for the rolling hills of Devon! – Bertie is limited to a 25 mile travel radius from his home in Plympton Devon – PL7. Bertie, our 45 year old Vintage Bedford CF ice cream van would love to be invited to attend your special day, to help keep your guests entertained whilst serving our luxury ‘Award winning’ ice cream. 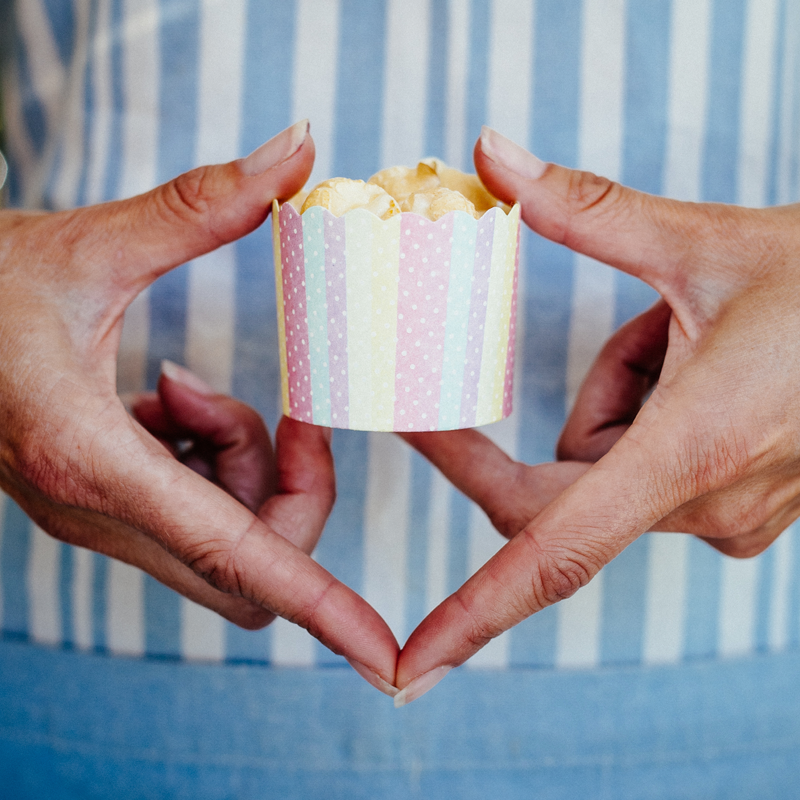 A uniformed ice cream specialist who will attend on the day to ensure that everything is perfect for you! Bertie does not need his engine on to serve your guests, so he is our quietest most environmentally friendly option…! 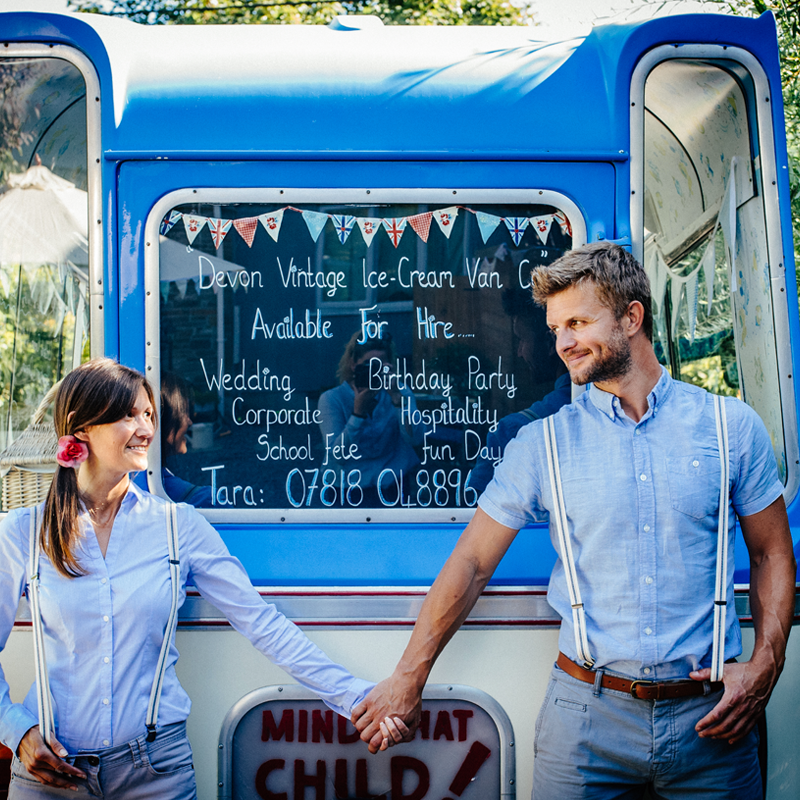 Bertie the vintage ice cream van is the perfect addition to add vintage charm to your event and delight your guests with scrummy scoop ice cream, lollies, sweets and treats. 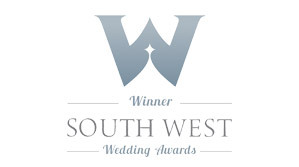 We have attended a large number of charity events over the years for many good causes, and we are very happy to contribute an agreed percentage of our takings from the day. Why not invite Bertie the ice cream van to attend your birthday party! he would love to be a part of your wedding anniversary, commemoration or other celebration. CLICK HERE to ask us to check Bertie’s Diary! 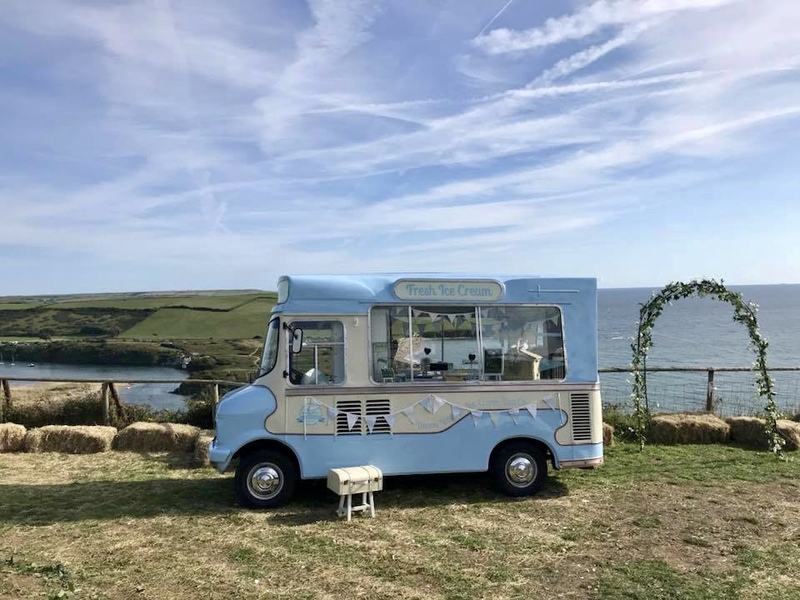 The Devon Vintage Ice cream Van co pride themselves on exceeding the expectations of their corporate clients through providing a service that is highly reputable, punctual and individual to your needs. CLICK HERE to find out more about our promotional packages, corporate branding, TV and media work.